When you are looking for dry eye relief, it is best to find eye doctors who can determine the causes of dry eye and help you find what method of treatment is right for you. At Reeve Woods Eye Center, we deal with variety of eye health conditions and are determined to learn why you are experiencing the condition and find the best treatment possible. Dry eye is a condition that happens when a person's eyes aren't properly lubricated and nourished due to a lack of quality tears. Some people simply do not have enough tears and others produce tears that are not good quality. When there are not enough tears, the condition often happens largely due to the aging process, or the lack of tears may be connected to their medications or simply living in dry and or windy environments. When tear quality is poor, this is because the three components of tears, oil, water, and mucus are not working together properly and the front surface of the does not get the protection it needs. In either case, dry eye syndrome can eventually turn chronic,leading those who suffer from the condition to deal with symptoms such as itching, burning, a scratchy sensation on a frequent basis If the condition becomes advanced, it also has the ability to cause damage to the front of the eye and impede vision. At Reese Woods Eye Center, we have Ophthalmologists in Chico CA ready to help take care of your eyes. When many people initially experience dry eye, they sometimes try to treat it themselves with over the counter eye drops, and while they may experience temporary dry eye relief, if dry eye persists they should look for ophthalmologists in Chico. Depending on the severity and cause of your dry eye syndrome,artificial tears may bring relief, especially if your symptoms are relatively mild and caused by slight overuse, such as excessive reading or computer use. Even with over the counter medications, not all eye drops and artificial tears are the same. Some are light and watery and offer very short-term relief. They need to be used frequently but don't affect your vision. Slightly thicker artificial tears have a high viscosity to lubricate the eyes for longer, but do result in temporary blurring of your vision, and are usually best used at night when tasks such as reading or driving aren't necessary. Prescription Eye Drops also work to reduce inflammation. Some of these include steroids that reduce inflammation and help control redness and burning that is associated with dry eye. Another way dry eye syndrome is treated is by using punctual plugs that help to drain tear ducts in the inner corner of the eyelids because they have been plugged. If in your case of dry eye is caused by lack of oil coming from meibomian glands, try applying warm compresses in order to open clogged glands. A meibomian gland expression may be performed in your ophthalmologist's office. 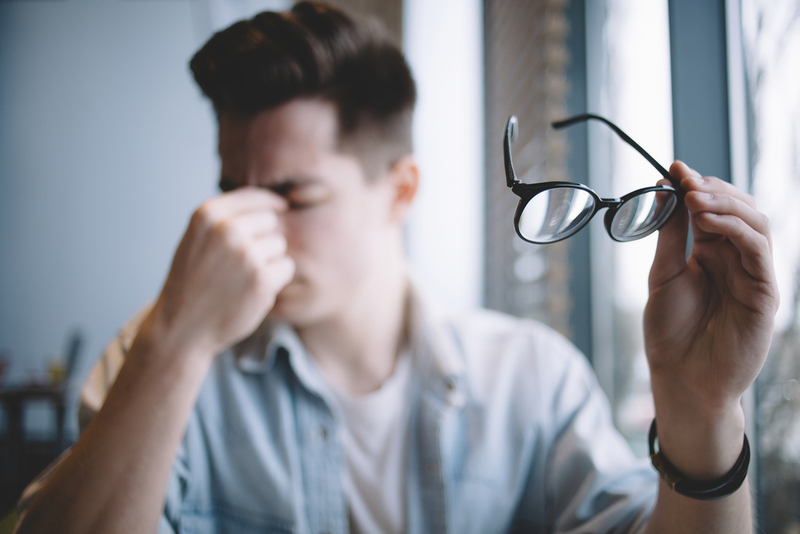 If you are experiencing dry eye syndrome or any type of eye discomfort, it is important to visit eye doctors that can help. at Reeve-Woods Eye Center. Contact our Chico office at 530-899-2244.